Mai dah hang dok pasang wayang kulit. He is the best candidate to suit the quote “Sendiri cakap, sendiri syok”! 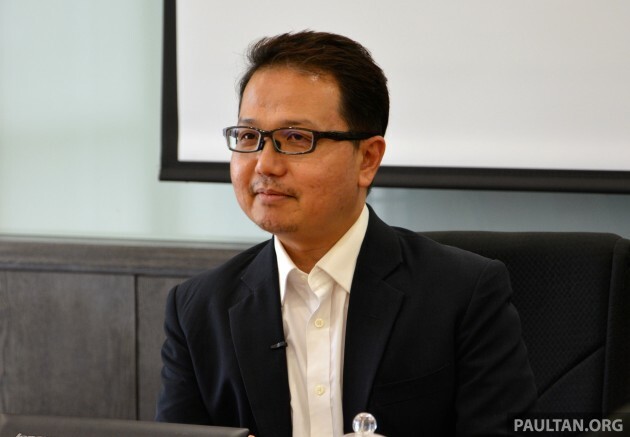 He’s truly the man that make M’sia Automotive industry moving backward. Above all the statement he make are ultra-rubbish. That’s why the price of cars are too expensive. Excise duty never benefits Rakyat at all. Cronies that been protecting. Madani Sahari is nothing but s ball carrier. He still has not addressed issues such as the crony AP practice, dirty diesel and why Najib has not honoured his promise of reduction in car prices by 30%. He is a disgrace. Getting high pay but not addressing important issues. Why no action on the AP thieves? Or are there family members of yours who are AP holders? A chart without itemized the details by HOW of the stages of implementation & execution plan. 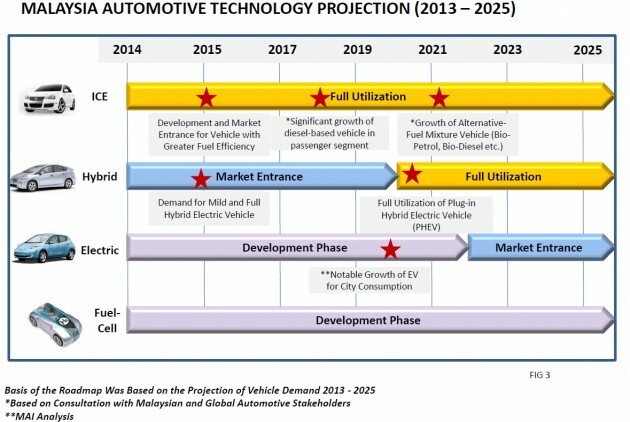 Then also HOW the development phases to be continue alight with global automotive direction. I could hired a SPM level student to paint the surface finishing. Just cost a MYR 900 monthly. Not even needed an big scale Institute. Suggestions to protect the car buyers’ right and revisions for car excise duty policy. 1. Impose minimum 10-Years Car Warranty with unlimited mileage and no question asked policy. 3. Impose minimum car safety features namely: 6 SRS airbags (dual front, side curtains both sides), ABS with EBD, Traction Control, ISOFIX and 5 Star safety ratings ASEAN NCAP. Shall any features missing (point 1 to 3), the car deemed unfit and illegal for sale until further improvements made. 6. Standardised, flat rate for car loan interest charges regardless the car is local or foreign brands. No more discrimination. 7. Car loan interest charges only applied for ex-factory zero duty car price while the excise duty amount payable rendered interest-free in order to avoid being ‘double-taxed’ by banks and thus reducing overall car financing cost to car buyers. Currently banks are profiting such easy money on car loans being factored twice which is morally wrong but totally legal. a) Car makers will promote more fuel efficient, cleaner engine, better safety specs cars to car buyers at much more level playing field. It is also in line with the EEV policy that promotes such vehicles. Ultimately, cars with zero emission and best mileage rightfully should enjoy more discounts or zero excise duty rate. b) At least 10 years of worry free for car buyers in terms of car warranty claims and servicing. Car makers will be forced to produce better quality cars to reduce any cost of warranty claims. c) Banks can no longer profiting easy money on ‘double taxed’ car loans. Which means more savings for car buyers and help reduce the household debts level. It is possible also to use that extra disposable income for buying a house at much early stage of life and lead to earlier house ownership as well. d) As more and more cleaner and fuel efficient cars being promoted at more competitive prices, the government can slowly reduce fuel subsidy costs and move closer to introduce open market price for petrol. The petrol price itself eventually become the control mechanism (pay as you use basis) and buying fuel efficient cars can only become the most logical thing to do! e) Best of all, government still continue to collect car excise duties but with much fairer and more progressive tax policy. It is only fair to car buyers for paying car taxes at such level to get more value added cars. It is simply a win-win situation to all of us. Government should protect the rights of car buyers more than just listening to the car industry players that have been profiting such an obscene amount of money from the car buyers. Such nonsense must end once and for all. Another post for losers to come in and whine about not being able to afford cars, and blame the government for their failures in life. Can u enlighten us about why in Malaysia there are no diesel models for passenger cars? Have you looked around? BMW, Audi, Mercedes, Ford, Volvo they all do offer this. What the fish are you talking man!!! Madani, you better step down. Useless with no basis at all. And stop kissing someone ****! What a load of Horseshit. Memang syiok sendiri. EEV this, hybrid that, Electric this, Fuel cell even. MAI can’t even lobby the government to supply proper Euro rated fuel. Where are the green diesels? Proton said they have no problems in buying engines right? 1 and 2 not realistic la. If 10 yrs free service + parts + warranty. Most manufacturer sure close shop liao. Many will whack their engine n gb kuat kuat and go claim warranty for engine and gb at the 8 9 years and things are as good as new,who then need buy new car for the another next 10 yrs? Most cars in Malaysia are expensive due to the taxes and the policies, yes. But apart from the high tax, it also needs to be known that the luxury car brands like Mercedes, BMW, Audi & Lexus are having a HUGE profit margin for every car they sell. Just because they are premium brands, they feel like there is a need to price it significantly much much higher. Use UK car prices and spec them up accordingly, then do some simple conversion and tax calculations and you will start seeing huge gaps with actual calculated values versus the prices that they are being sold in Malaysia. BMW, Mercedes, Audi, Lexus and even VW have really really ridiculous profit margins per car. Ministers and R families will gets to buy brand new with waive taxes fee. So unhappy be a Gov high rank officer then. You sound more unhappy than me. Chill, and go take a walk. Blah blah blah. Still waiting for news on reduction of excise duty on cars and introduction of euro 5 diesel all over malaysia. When I was a 18 years old boy I read every single sentence with hope and excitement. I imagine the auto market would turn to be a greener and affordable territory. While the fuel tax reduction would create first world public transportation system…. We just stop buying any new cars for 2 years, and see what happen. When the buying stop, the killing can too..
I’m with you along. We should stop buying new car for now so that the gov can deliver their promise to reduce car price as much as 30% in 2018. Tak payah nak tegangkan benang yang basah. You can’t even explain how NAP is good for the country. PUII MAI..madani kroni Tun..dlu ex-Proton..masuk Miyazu..kna tendang..ntah mcm mne..leh bukak MAI under dia..pung pang pung pang..gaji pekerja sektor automotif ko xde nak naikkan..exec ke atas dok sedap meeting and buat decision..tp x pikir org kat production line, shop floor..ak dh penah keje bidg ni..dan aku dh kluar pun..bukn disebabkn x minat..tapi tangga gaji bidang ni kecik sgt n dibandingkan dgn bidang kejuruteraan lain seperti pembinaan dan oil n gas. Bayangkan high skill technician..dh keje 10 tahun dlm bidang die finishing..gaji masih RM1600..elaun ciput..padahal skill diaorg tggi x ternilai..gaji naik2..harga keter bukn main mahal..kita sendiri buat keter tu.tp nk beli x lepas loan..mcm mne tu..ramai pelapis muda mcm aku dlm bidg ni dh start tinggalkan..bayangkan Tooling Designer basic rm1300..keje bagai nk giler..MAI dok sibuk cari talent untuk level exec ke atas..program ACE..utk lepasan degree..utk skill worker ape pun xde..padahal 70% dari perjalanan sebuah projek untuk develop kereta hasil dari skill worker macam machinist, jig maker, die maker, finishing and trial..dari stage T0 sampai PreProduction..semua high skill worker ni terlibat..diaorg la tulang belakang sektor automotif di malaysia ni..bila dh xde org..dok hantar tooling buat kat Korea, Taiwan n Thailand..pastu keter kena jual mahal sbb nk cover cost tooling..cuba bagi yg setimpal dgn kerja..confirm ramai yang nk keje dlm bidg ni..confirm meriah bidg ni..ramai otai2 and expertise..otai2 yg Proton hantar ke Mitsubishi Jepun thun 87-90 an tu sumer dh bnyak pencen n dh x tahan dgn gaji kecik sektor ni..pelapis muda nk masuk bidg ni..gaji kecik..baik diaorg apply keje offshore yg penat tp berbaloi..MAI sepatutnya ditubuhkan untuk mengukuhkan dan menaikkan taraf sektor automotif di Malaysia ni setanding dgn negara luar dan bidang2 yg lain..sepatutnya mereka patut peduli mengenai modal insan dlm bidang ni..bukan di peringkat pengurusan..tetapi pekerja mahir seperti yg aku sebutkn td..aku kecewa sebenarnya dgn sektor automotif kt Malaysia ni..bnyak pahit perit disebalik kereta yang keluar tu..jadi mana la tau staff MAI baca komen aku..x pon manager2 besar dlm company automotif baca komen aku ni..buka minda dan rangka stratergi..jgn jd mcm Australia..bidg automotif dh terkubur..
Gaji sikit? dari proton?… cukup la tu… quality product macam sial, ada hati mintak gaji lebih. @ioma..mulut elok sikit bro..kalau part mcam sial..kenapa isawara boleh pakai sampai sekarang..ko tak pernah kerja kilang ko jgn sembangdgn aku..kalau komen ko dh tulis sial..otak ko pon ak dh tau cmne..ko ckp part mcm sial kn..ak cabar ko buat part tu jd PISPAS 100% accuracy..puii..toyota dgn honda pon sama la..part NG gak..ade ke ko tau..part dr jepun lg mcm lakhanat..daihatsu..puii..part thickness nipis bg org malaysia pakai..ko tau ke @ioma..jgn pndang hina hasil kerja org..kalau part tu mcm sial pon..ko tau ke knapa mcm tu jd part tu..aku cabar ko duduk smggu je develop part keter..tgk bole pergi ke tak ko..jgn sembang kat sini..puiii @ioma…bab gaji tu mmg patut pon naik..ko ape tau..silap ari bulan tukar tayarketer x reti..
Haha… punyalah tak puas hati. Cabar ini, cabar itu. Patutlah gaji ko sikit.